Susan Roeschke, of Hellertown, Pa., browses in the re-opened Atlantic City Historical Museum on Garden Pier. 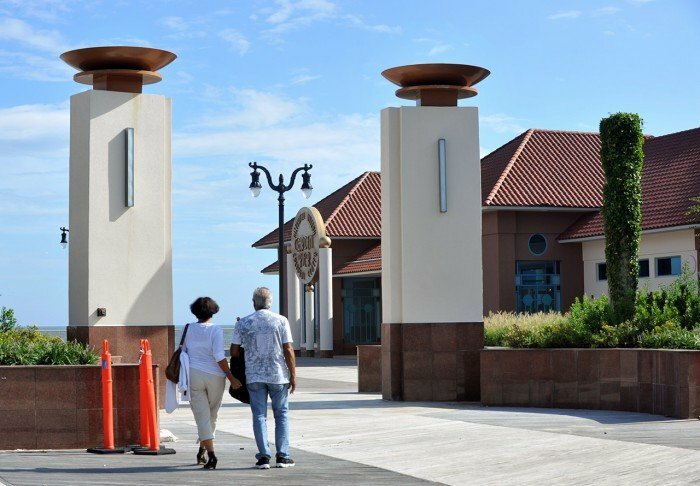 Tourists walk toward the re-opened Atlantic City Historical Museum on Garden Pier on Monday. Jim Padula, of Tomes River, browses in the re-opened Atlantic City Historical Museum. Museum Coordinator Beth Ryan, of Egg Harbor Township, handles items in a display. Museum Coordinator Beth Ryan, of Egg Harbor Township, handles items in a display at the re-opened Atlantic City Historical Museum on Garden Pier. The 99-year-old pier was closed for a $3.3 million overhaul. Susan Roeschke, of Hellertown, Pa., walks past the re-opened Atlantic City Historical Museum on Garden Pier. 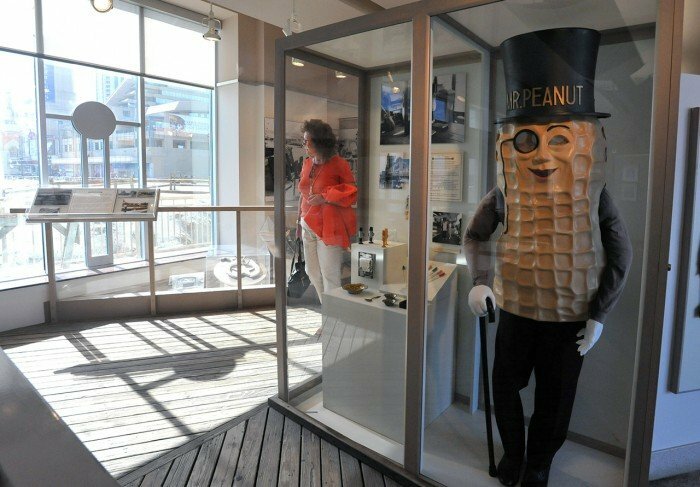 The Atlantic City Historical Museum reopened Monday along with Garden Pier. The reopening marked the first official day of operations for Garden Pier after more than a year. For the Historical Museum, it marked the transition of operations from the museum’s board to the Atlantic City Free Public Library, which will manage the museum on the pier. Library Director Maureen Frank said the museum had visitors Monday from as far as Poland, Spain, Canada and Nevada. Robert Jaoude, of Chester County, Pa., walked into the free museum with his 5-year-old son and 7-year-old daughter. The kids played at the children’s corner. The new museum has giant windows that allow sunlight to illuminate wicker rolling chairs, painted lighthouses and screen-printed posters. A group of visitors watched a documentary about Atlantic City. The library plans to incorporate items from its Alfred M. Heston Collection. A display on “The Magic of Kentucky Avenue” includes photographs and literature celebrating the city’s former cultural hub. Much of the exhibit has never been displayed before. Assessed at $9.3 million, the 99-year-old Garden Pier was closed for a $3.3 million overhaul that included patching the 5,400-square-foot museum’s walls and upgrades to its HVAC and electrical systems. The Atlantic City Arts Center opposite the museum benefited from similar improvements. New lighting, landscaping and a veneer left the pier with a more dramatic look overall. The city Public Works and Engineering departments reinforced the structure’s supports as well. Demolition of the pier’s back end, crumbling amphitheater and weather-beaten fountain also removed obstructions to the ocean view. The city and library may provide free wireless Internet access on the pier and add seating to its open-air plaza, but don’t have money or other commitments backing those initiatives, at least not yet, officials said. The pier was 1,500 feet long and had a ballroom on its ocean end when it was built in 1913. Three decades later, a hurricane washed away much of the structure’s far end, including the dance hall. The Atlantic City Historical Museum is located on Garden Pier, South New Jersey Avenue and the Boardwalk. It is open from 10 a.m to 5 p.m. Monday through Saturday. For more information, visit the museum's website.